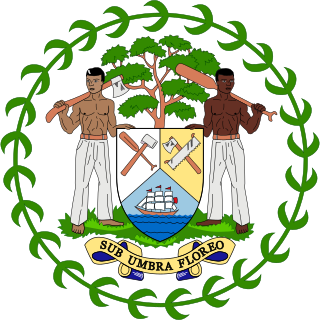 ^ a b The following governors died in office: Sir Robert Duff on 15 March 1895; Sir Walter Davidson on 15 September 1923; and Sir David Anderson on 30 October 1936. ^ Taylor, A. J. P. (1965). "English History, 1914–1945". In Cannadine, David. Aspects of Aristocracy. Yale University Press (published 1994). pp. 172–3. The Governor-General of the Commonwealth of Australia is the representative of the Australian monarch, currently Queen Elizabeth II. 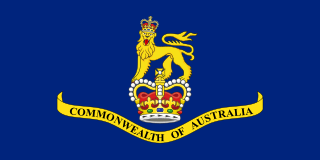 As the Queen is concurrently the monarch of fifteen other Commonwealth realms, and resides in the United Kingdom, she, on the advice of her prime minister, appoints a governor-general to carry out constitutional duties within the Commonwealth of Australia. The governor-general has formal presidency over the Federal Executive Council and is commander-in-chief of the Australian Defence Force. 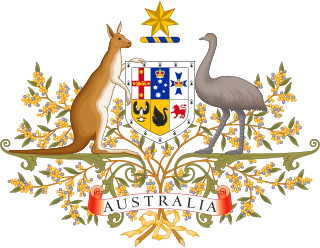 The functions of the governor-general include appointing ministers, judges, and ambassadors; giving royal assent to legislation passed by parliament; issuing writs for election; and bestowing Australian honours. 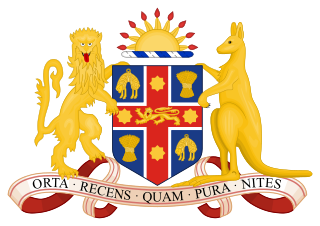 The governors of the Australian states are the representatives of Australia's monarch in each of Australia's six states. 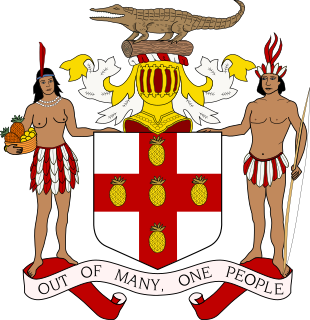 The governors are the nominal chief executives of the states, performing the same constitutional and ceremonial functions at the state level as does the Governor-General of Australia at the national or federal level. 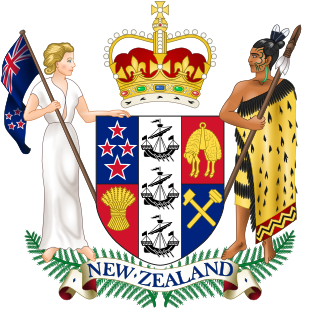 The state governors are not subject to the constitutional authority of the governor-general, but are directly responsible to the monarch. In practice, with notable exceptions the governors are generally required by convention to act on the advice of the state premiers or the other members of a state's cabinet. The Parliament of New South Wales, located in Parliament House on Macquarie Street, Sydney, is the main legislative body in the Australian state of New South Wales (NSW). It is a bicameral parliament elected by the people of the state in general elections. The parliament shares law making powers with the Australian Federal Parliament. It is Australia's oldest legislature. The New South Wales Parliament follows the Westminster parliamentary traditions of dress, Green–Red chamber colours and protocol. The Government House is the heritage-listed vice-regal residence of the Governor of New South Wales, Australia, located on Conservatorium Road in the Sydney central business district adjacent to the Royal Botanic Gardens, overlooking Sydney Harbour, just south of the Sydney Opera House. Constructed between 1837 and 1843, the property has been the vice-regal residence of the Governor since Sir George Gipps, except for two brief periods; the first between 1901 and 1914, when the property was leased to the Commonwealth of Australia as the residence of the Governor-General of Australia, and the second from 1996 to 2011.